Womenswear brand Weizdhurm Franklyn debuts the lookbook for his Girl Behind the Mask. The breathtaking collection originally debuted at Arise Fashion Week earlier this year. 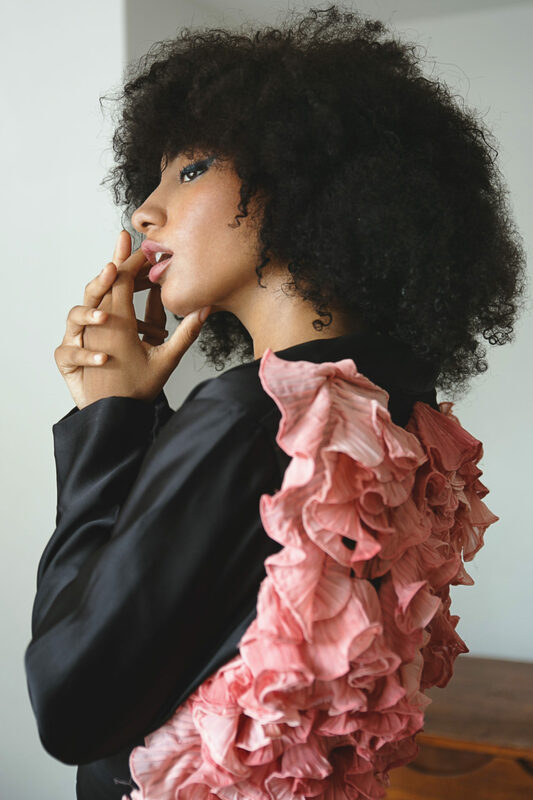 The talented designer delivers delicate, embellished pieces featuring lightweight corsetry with layers of tulle and organza, and intricate velvet intarsia, mesh and embroidery detail. The collection is grounded with solid coloured crepe pieces in a palette of white, black, silver, bronze and lavender. Delicately taking a dive into the immerse world of femininity, the Weiz Dhurm Franklyn‘s Autumn/Winter explores the unforseen realities of his muse; The Girl Behind The Mask.